This post was originally published May 16, 2014. We built these beds three years ago. The boards had deteriorated to the point that they had to be replaced anyway, so we decided to expand. We created two beds, each 8 ft by 2 ft and 12 inches deep. They are narrow, so we don’t have to reach over too far to harvest the vegetables. And we created a third bed, 6 ft by 2 ft by 6 inches deep. This bed is for our kitty, Simon. You remember Simon, right? 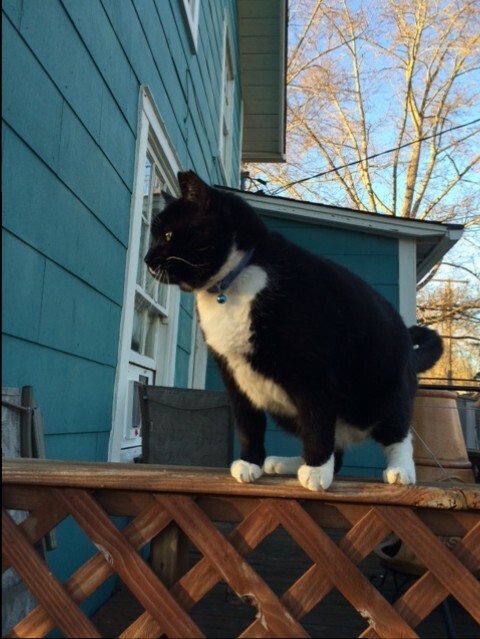 Simon is a very large kitty. His head comes up to my knee, and he weighs about 25 lbs. Over the winter, Simon got into the habit of using the empty garden beds as his own private potty patch. We added the third bed, so he would still have a place to … um … go, a place not in the vegetable garden. 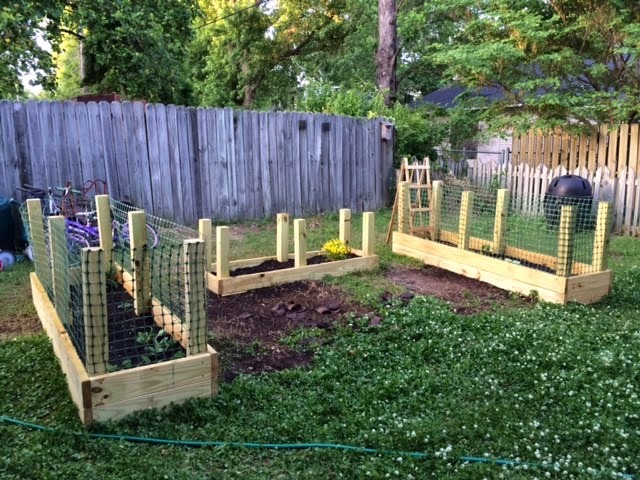 We have taken the additional precaution of putting fence around the veggie gardens. Here is how it looked when we finished up last weekend. My new Ryobi ONE Plus 18V Cordless 3/8 in. Right Angle Drill came in very handy while constructing the beds! 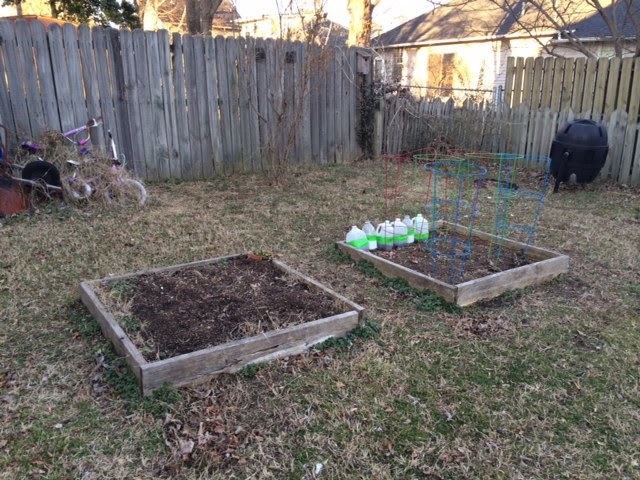 We planted tomatoes, jalapeno peppers, spinach, summer squash, zucchini, carrots, cucumbers, onions, pumpkins, and watermelon. And in Simon’s Garden, we planted lots of annual seeds, like sunflowers and zinnias. I can’t wait until the veggies start coming in, and with the flowers nearby, it will be lovely. I’ll post updates throughout the season.